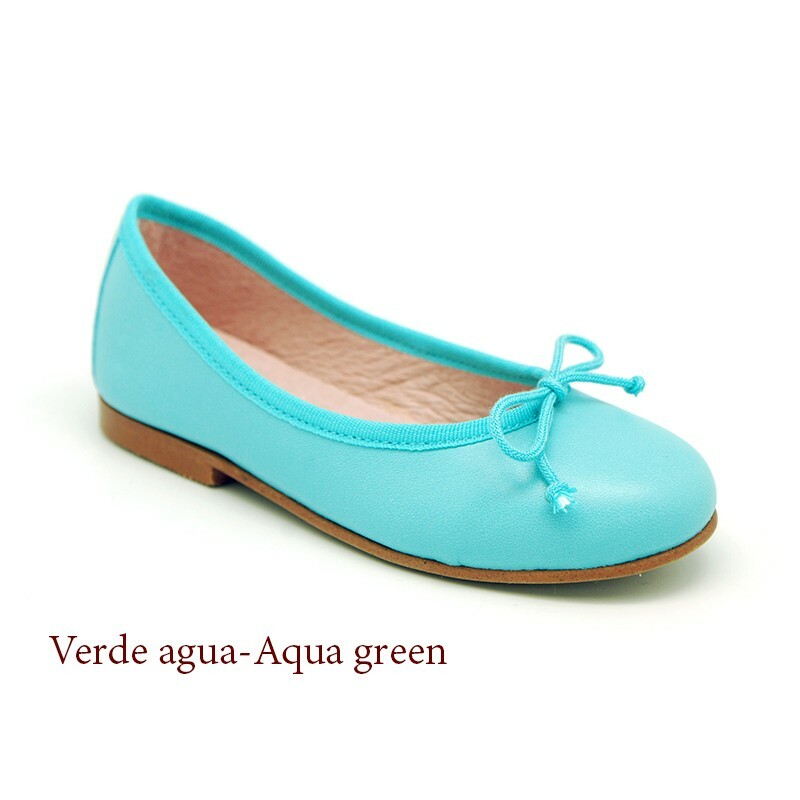 > Moms & Dads>For mom ( from 35-41 Euro Size)>Ballet flats>EXTRA SOFT goat skin leather ballet flat shoes with ribbon. 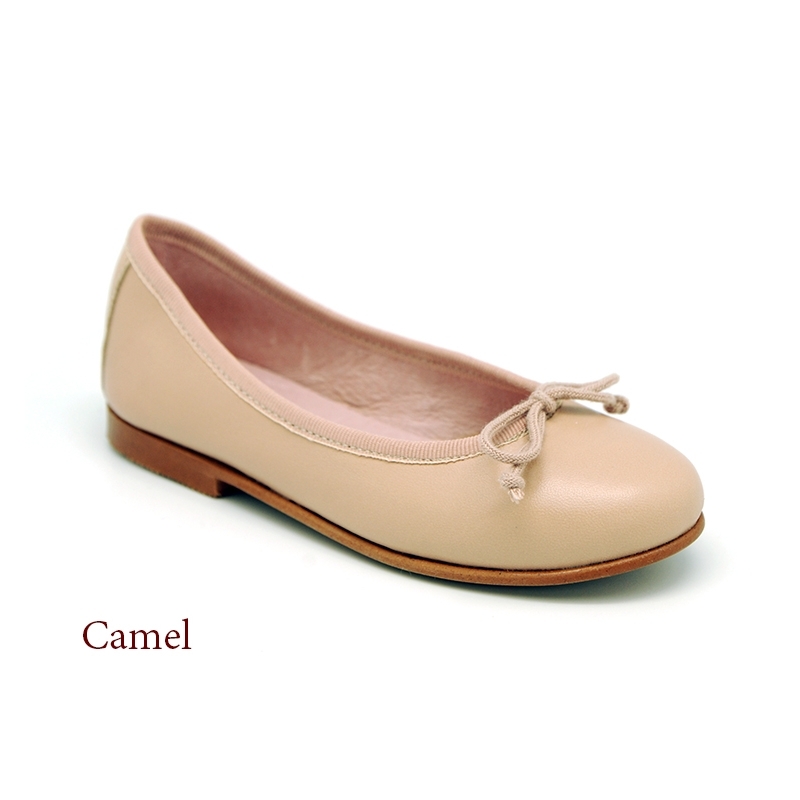 EXTRA SOFT goat skin leather ballet flat shoes with ribbon. 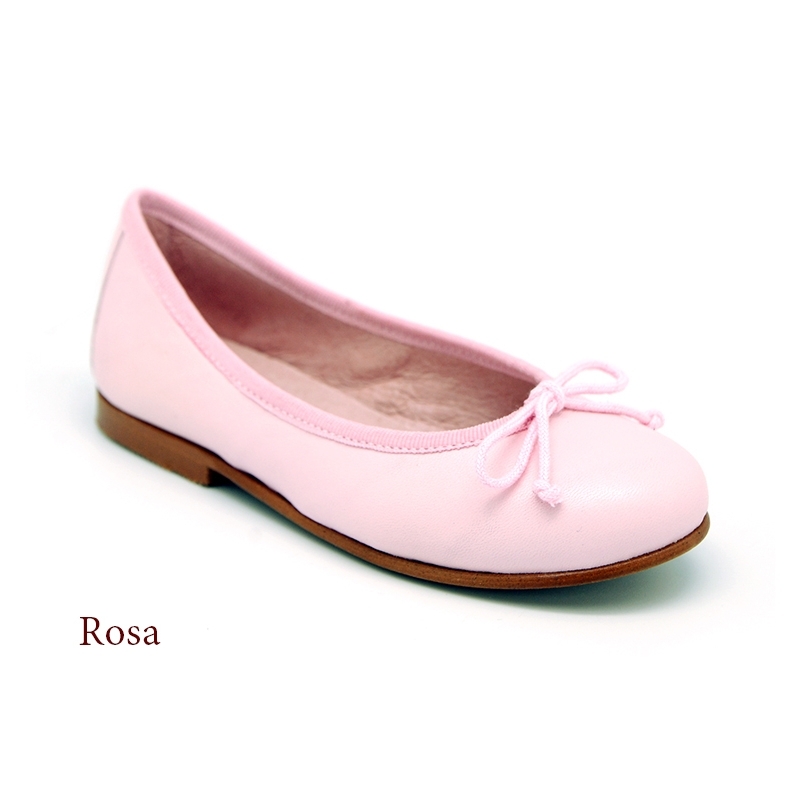 EXTRA SOFT goat skin leather ballet flat shoes with ribbon for toddler girls or moms too. 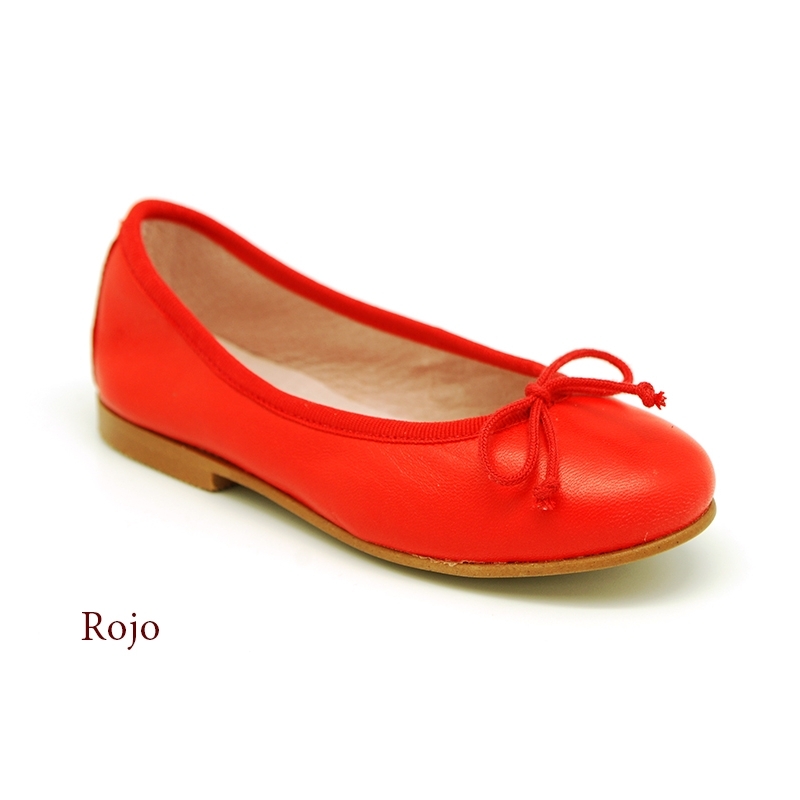 More info about EXTRA SOFT goat skin leather ballet flat shoes with ribbon. Classic stylized ballet shoes or manoletinas with adjustable ribbon in EXTRA SOFT goat skin leather for toddler girls and moms too. 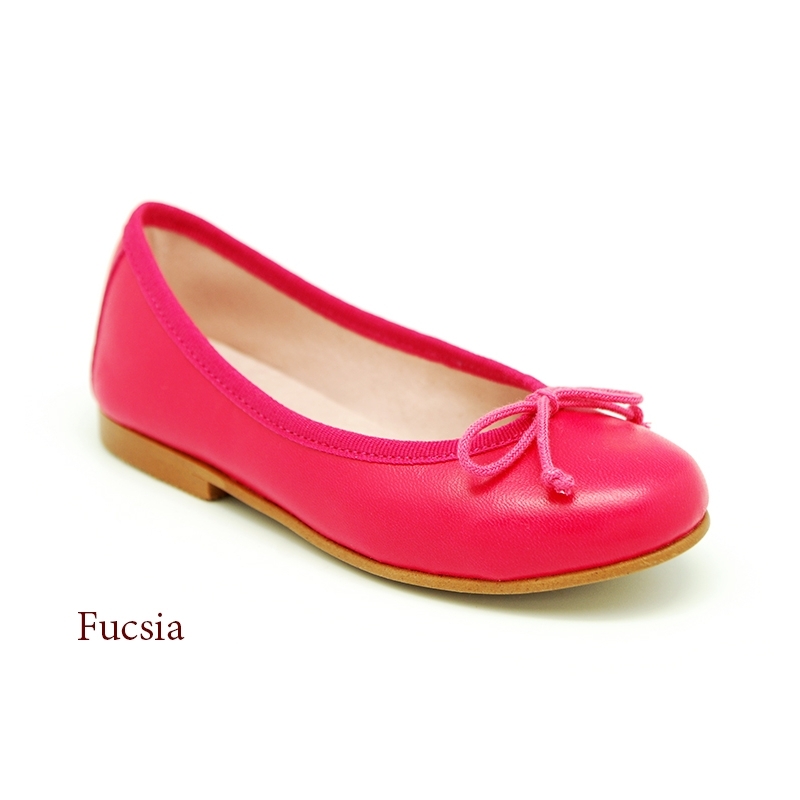 Made up of 100% high quality natural goat skin leather very soft and light. Very comfortable and classy. IÂ´ts a new model. Made in very seasonal colors for this spring summer. 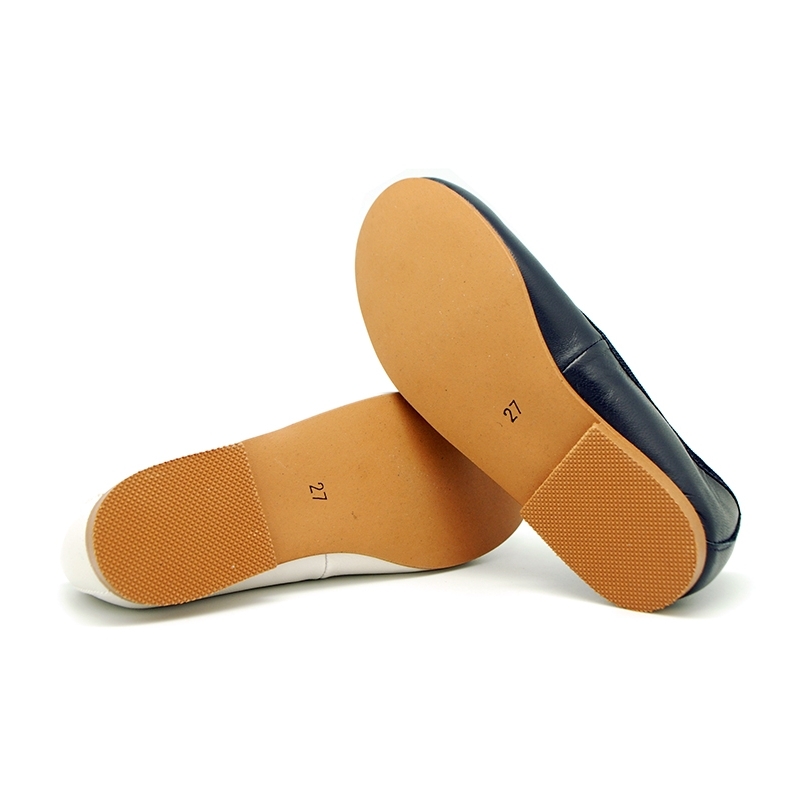 You can adjust with tie the contorn of the feet for a better grip. We have up to size 40 available for mothers too. Available in 9 colors. Size range: from 25 Euro Size up to 40 Euro size. SIZING REGULAR. 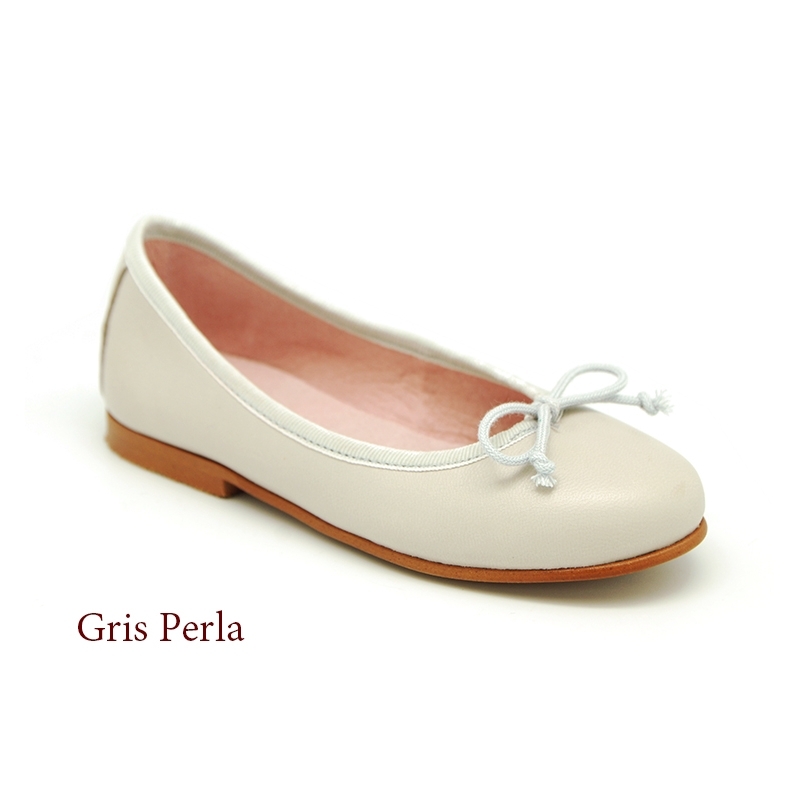 Data sheet about EXTRA SOFT goat skin leather ballet flat shoes with ribbon.